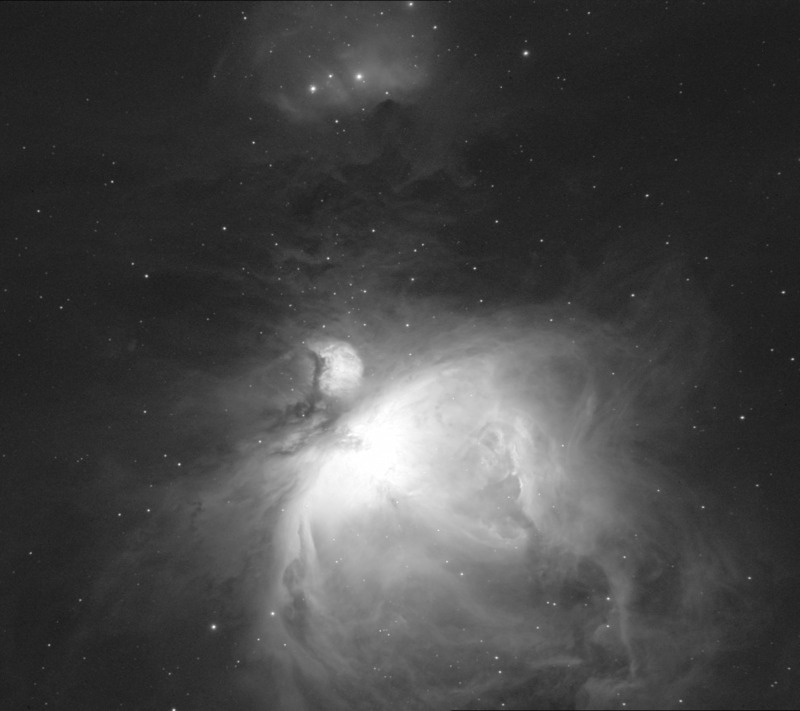 I was looking to capture the faint nebulous structures north of M43. More exposure time is needed. The moon was so bright, I didn't need a flashlight.